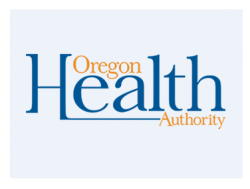 The Oregon Health Authority (OHA), Public Health Division (PHD), Oregon Immunization Program (OIP) is recruiting for an Immunization Research Analyst to serve as a subject matter expert on immunization research and evaluation activities for the Oregon Immunization Program. This position supports data management and analysis activities related to the ALERT Immunization Information System (IIS) and analysis of clinical, regional, and statewide immunization rates. The Oregon Immunization Program works to reduce the incidence of vaccine-preventable disease in Oregon. As the Immunization Research Analyst, you will provide support to program staff on immunization research issues, which includes access to services; effectiveness of interventions; barriers to immunizations; and expanded purchase of vaccines. You will also support activities related to the statewide immunization registry and population-based analysis of immunization practices and rates. You will independently plan, manage, coordinate and communicate immunization-related research and data analysis projects. You will work with a team of public health professionals who are passionate about the work they do to reduce disease for Oregonians. Do you have public health research experience? Do you have knowledge of immunization practices? Do you have experience analyzing and reporting data? If so, we want to connect with you! We offer full medical, vision and dental benefits with paid sick leave, vacation, personal leave and 10 paid holidays per year plus pension and retirement plans. If this position sounds like the perfect fit for your skills, delay, apply today! This position is classified and represented by a union. A Bachelor's Degree in any discipline that included six-quarter units in statistics or quantitative analysis methods and procedures, AND one of year experience using computerized applications to independently gather, compile, and analyze data and prepare narrative or statistical reports. Four years of research experience using computerized applications to independently gather, compile, and analyze data and prepare narrative or statistical reports.